What a great weekend I’ve had. After finding out FoodandFitnessAlways has finally made it into the elite Foodies100 index, which is basically the top 100 Food Blogs in the UK, it is something that has really humbled me. I started off knowing virtually nothing about blogging, websites, photography or even that much about cooking, but anything is possible if you work hard enough and don’t give up at those first hurdles. The blog began back in August 2014 and 19 months later has developed into where we’re at today, and it’s all thanks to your amazing and continued support, so thank you once again. As long as I have the energy in my body I’ll keep bringing you nutritional recipes that are easy to follow and taste great, and today is certainly no different! 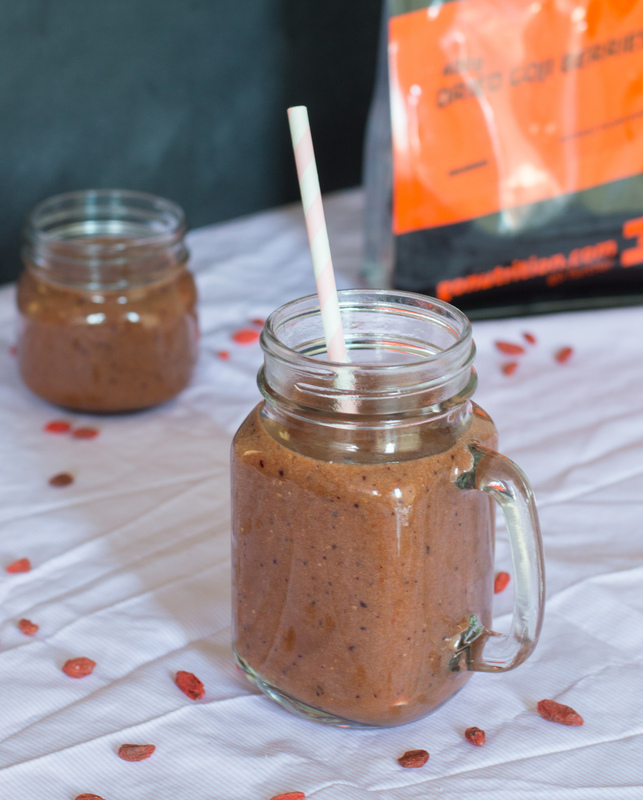 This smoothie features Dried Goji Berries from the GoNutrition.com online store. They have so many useful products for every day life, as well as for helping you reach your fitness goals that it’s a store I go back to time and time again. 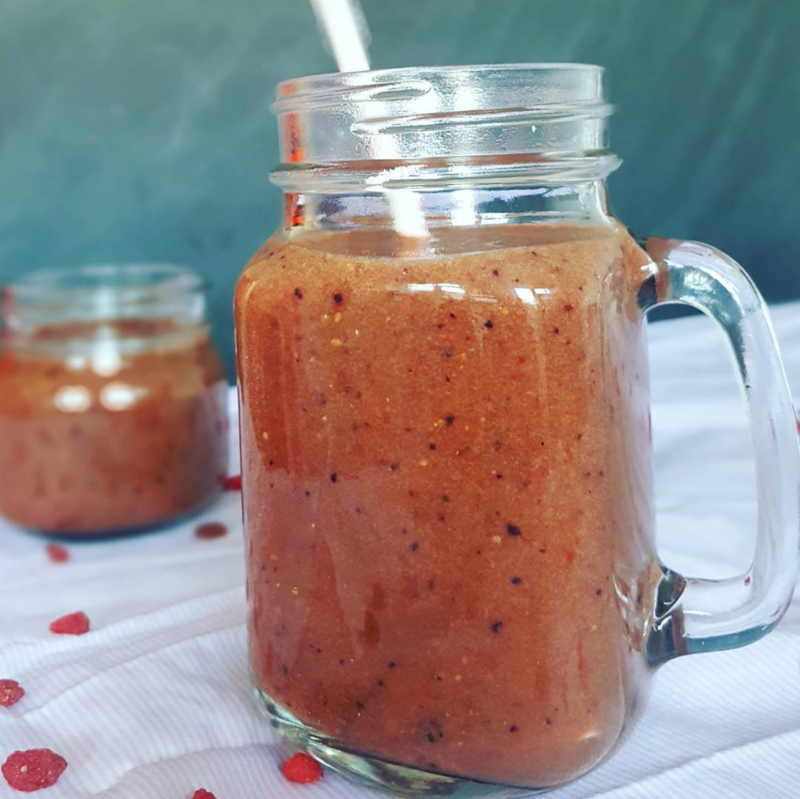 There has been various research around whether or not Goji Berries are a superfood, and whilst many more studies need to be completed to make the right conclusions, they have been linked with boosting the immune system as well as brain activity, which is good enough for me to continue enjoying them. So enjoy this Very Berry Smoothie that’s full of great tasting fruits, berries & ingredients that will benefit your health. Not to mention, it tastes great too! Add all of the ingredients to a blender or NutriBullet (if using the NutriBullet, fill to the max line). Blend for at least 1 minute, check the consistency to ensure it is smooth. Pass through a sieve if required then serve. Definitely, try this at home and let you know how it tastes ? ?